The solution to bad air quality is knowledge and properly addressing the problems with good design and construction methods and measuring the results. As an architect, I’ve always been aware of air management in buildings. This includes heating, ventilating and air conditioning (HVAC). It also includes humidity, fresh air ventilation and air quality. Some of my recent experiences have significantly increased my awareness of how critical this issue is becoming for every building. A recent survey of 16,000 U.S. homeowners and builders by Hayward Healthy Home revealed that many people don’t know exactly what the path of air is their house is and whether this is affecting their health. People have assumed that all materials, finishes and furniture used in their home don’t degrade air quality. They also may assume that natural and mechanical ventilation in their house will address air quality. We need to increase the awareness and knowledge of air quality problems and solutions, so that we are designing and building healthy homes and buildings. Air supply and quality are crucial, as I learned through my experiences at NASA and the Montana ecoSMART House Project, detailed in previous Green Builder articles. I have learned more since. 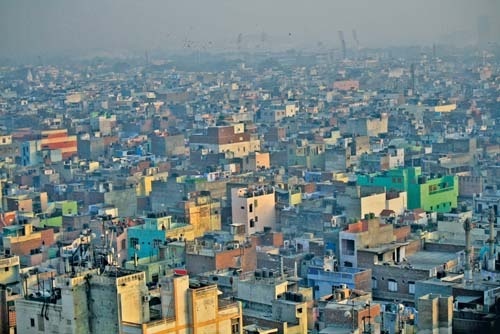 As health issues become more prominent, researchers are considering approaches to improving air quality for India’s 1.3 billion residents. In 2015, I became involved in University of California at Berkeley’s Smart Villages program headed by Professor Solomon Darwin. He led a six-week tour of India and then subsequent trips in 2016 and 2017. While not focused on air quality specifically, our work and interaction with people in the villages revealed that serious health issues were arising from the cooking stove fumes in village homes and the pollution of outdoor air by brick kilns and other industrial facilities. For us to make significant contributions in this area, there are many social, economic, political and practical considerations. I will be attending this year’s India Conference update in September. Combined with my involvement as a team member in Stanford’s Ideal Villages program, there are beginning to be approaches to improving air quality-related health for the 1.3 billion people in India (70 percent live in villages). Earlier this year, I accompanied members of the Stanford Medical School’s Bangladesh Ventilation Research Study to Dhaka. This project further alerted me to the seriousness of air quality issues in buildings. The Stanford Medical School’s Bangladesh Ventilation Research Study led by Steve Luby, MD, investigates the slum housing of Dhaka, where the residents have some of the highest incidents of pulmonary disease (lung cancer) affecting both children and adults. I was privileged to be a team member on a visit to Dhaka to see firsthand the conditions being studied. I participated in the design of windows, doors and vents to improve the natural ventilation in the buildings. I will continue to include information through Green Builder on the work and findings of this team. Some team members are currently back in Dhaka doing air quality testing. Solar radiation’s effect on humans is similar to the Earth’s radiation (in the form of radon). We know to ventilate buildings well in locations where radon is present, but we hadn’t really correlated it to solar radiation, nor did I completely understand what radon was and how it worked. Moon base, Mars base, space station astronauts, and even long-range commercial airline crews are or will be exposed to high levels of solar radiation. Coordinating research in buildings with the extensive research being done by NASA will accelerate and advance our knowledge for increasing health for humans in buildings on earth. The World Health Organization (WHO) in Geneva, Switzerland, recently ranked radon as the second-leading cause of lung cancer globally and will be publishing an update to its work in this area soon. Every time I travel abroad, I learn something about the U.S. While we were studying slum housing and air quality effects on the residents, I returned to the U.S. to learn that many areas in the country have similar problems—not limited to impoverished areas. Areas with million-dollar homes can experience air quality issues that create significant health problems, sending the occupants to their doctors, often with no conclusion as to what is the cause of their illnesses. This can even happen to people living in recently built homes. The solution is knowledge and properly addressing the problems with good design and construction methods and measuring the results. 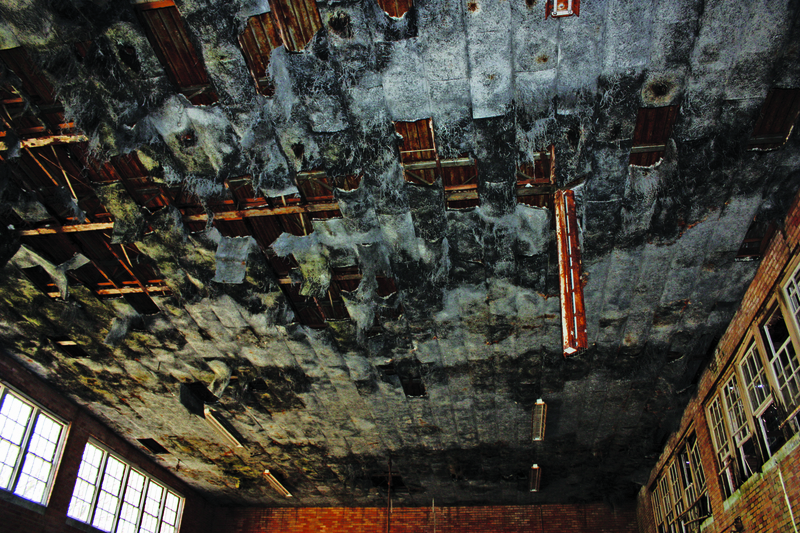 Leaking water within a roof can lead to mold, which can create an airborne health hazard inside any home. A number of years ago, I helped my dear friend Doug Engelbart (his name may be familiar—he invented the computer mouse) through his own poor air quality experience. One day he commented on being dizzy all of the time. I asked if we could go to his house, so I could look around. I found a giant water stain on the ceiling of his dining room from an ongoing roof leak, with signs of black mold forming. I recommended getting a qualified specialist to carefully remove the ceiling material and the mold, and then have the ceiling repaired. Soon after the completion of the work and with help from his physician, Engelbart felt better. Every building and house has the potential to become a health hazard, even through the simplest of issues—like a nail-sized hole in the roof that allows water to leak into the building. The presence of mold in a house can increase allergic reactions and in itself can cause many serious illnesses, such as Ménière’s disease. The Hayward Healthy Home program and Hayward SCORE were developed in response to one family’s experience with their home. The EPA (Environmental Protection Agency) is also involved. Under the Clean Air Act (CAA), the EPA sets limits on certain air pollutants in the United States. The CAA also gives EPA the authority to limit emissions of air pollutants coming from sources like chemical plants, utilities and steel mills. Individual states or tribes may have stronger air pollution laws, but they may not have weaker pollution limits than those set by EPA. The EPA recently categorized radon as the second-leading cause of lung cancer as well. I also recently reconnected with Construction Engineering Research Lab (CERL) as a building industry resource. CERL is currently leading research in 3D printing of buildings (and other construction elements); moisture and moisture-related building and air quality issues; radiation/radon issues; and air quality/human healthy buildings issues. I will be detailing my efforts with CERL and the Army Corps of Engineers in future articles. I think that many of us assumed and may still assume that the outside air that we breathe is clean, and that our inside air is not contributing to health problems. I suggest that we check to make sure. Studies are showing that we can’t see or smell some of the most dangerous elements in our air. The building industry can benefit from reconsidering our role in creating houses and buildings that benefit from our knowledge about fresh air, clean air and air quality, and to verify that our buildings are, in fact, healthy buildings. We need to know how to detect and measure problems and be able to show that we have mitigated any known problems during the creation of a house or building. In other countries like Bangladesh and India, there may be asphalt plants or brick kilns in or near inhabited areas that hinder outside air quality and make it not the “fresh air” one would hope for. Also, however, in the U.S. any house located near a freeway may have outside air quality that is not healthy. Measuring and knowing outside and indoor air quality will take the guesswork out of the environmental effects on our health. Successful green building can address air quality on each of our projects, for the sake of the effects on human health in our buildings. We can begin to understand more completely and address this for the sake of all of our businesses and clients. For existing homes and buildings, products that measure air quality are becoming available. I will detail more about the new devices and companies focused on this issue in a future article. Good air quality in the houses and buildings that we design and build doesn’t happen by accident. We can succeed in this area by knowing what to do. It is an area that will be taking on even more importance in the very near future.